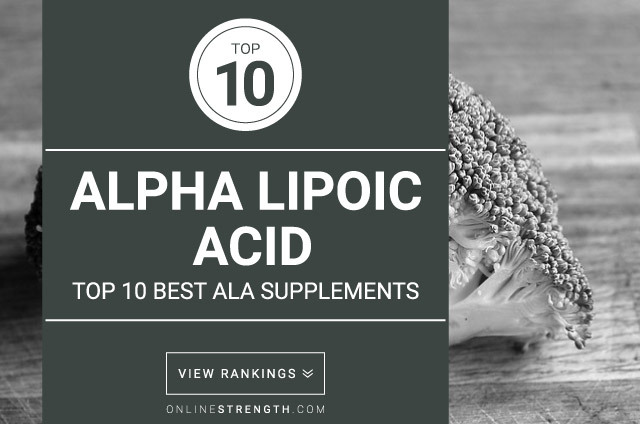 Alpha-lipoic acid (or lipoic acid) is naturally produced in the body and it helps to convert glucose into energy. Its also a very powerful antioxidant, helping to fight off harmful chemicals known as free radicals. Free radicals are known to increase the rate of aging, reduce immune system health, increase heart disease, and liver disease. A recent study in 2015 showed that supplementation of Alpha-Lipoic Acid (ALA) significantly increased weight loss and fat loss (12-15lbs) in individuals who supplemented a total of 300 mg of ALA per day (combined with a reduced caloric diet) when compared to a group of individuals given a placebo. ALA can be found in organic red meat and in some specialty meats such as liver. The typical serving size of Alpha-lipoic acid (ALA) is between 600 – 1,200 mg per day taken in three equal doses for treating diabetes, peripheral neuropathy, and cardiac autonomic neuropathy. For weight loss, 100 mg alpha-lipoic acid taken three times per day with meals has been shown to aid weight and fat loss in overweight men and women along side a reduced-caloric diet. Products will vary in dosage strength. Ranging from 30 mg – 1200 mg be sure to pick a product that matches your desired outcome.